The Royal Railways ticket cost of $0.01 only applies when the Wing Card Account is swipe to Royal Railways POS machine, Phnom Penh Station. 1 Wing Card Account per 1 Free Korma only. 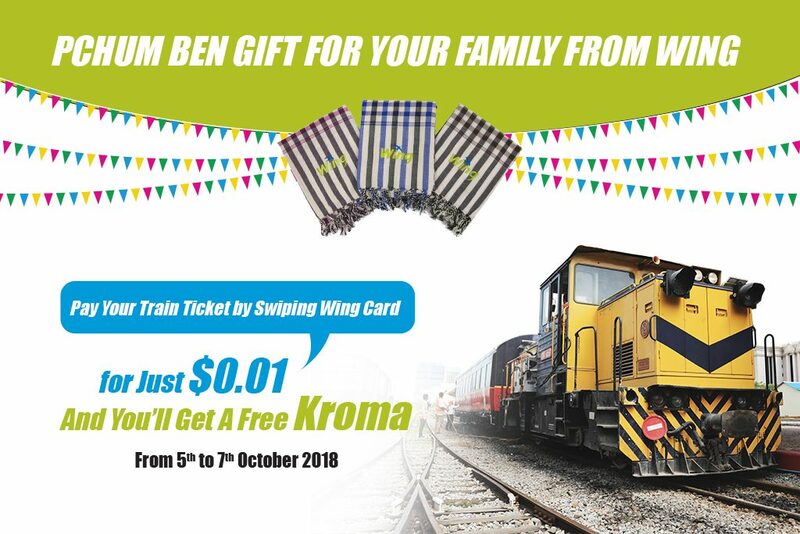 Customer must present the Wing Card Account and the Royal Railways ticket to get 1 Kroma. The ticket price of $0.01 is valid during the promotional dates only. The promotional date is from 5th to 7th October 2018.